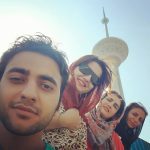 Hi, I am Abbas and I live in Tehran. I’m interested in culture and history and looking around to find them then share with others. Started Free Walking tours project since 3 years ago. You can join my tours, just fill my website form. Iranian Sim card – Where and how to buy Iranian Prepaid Simcard?